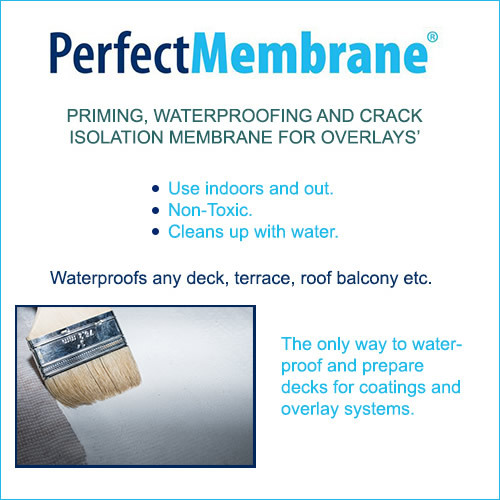 What Makes Perfect Membrane the Perfect DIY Waterproofing Solution? 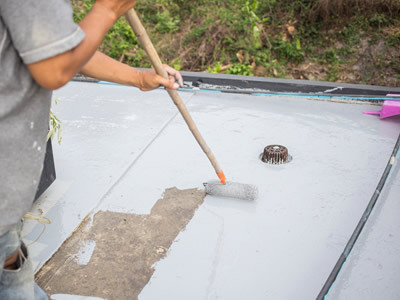 Waterproofing a surface can be time consuming and even complicated. However, with a solution such as Perfect Membrane, you can achieve a waterproof surface easily. This primer is the perfect solution for do-it-yourselfers of all skill levels for various reasons. There are no complex mixing ratios to calculate. The Perfect Membrane system is simple. It consists of PerfectPrimer that comes ready to use and Polytex fabric. It is available in packages so that takes the guesswork out of having to figure out how much of each component you’ll need for the surface you need to cover and begin your project. The system is easy to install. No special skills or equipment are required. You can install the prier using a brush, roller or spray. You then apply the Polytex fabric to the wet area and smooth it out using your hands, a roller or a brush. Prepping surfaces for the application of waterproofing systems can be expensive and time consuming. Perfect Membrane can is compatible with a wide variety of materials. It can be applied to any clean, sound surfaces without the need for grinding them first.. You need only to clean the floor and perform any needed structural repairs before applying Perfectmembrane. This waterproofing system has been shown to be effective when used on a wide variety of surfaces including wood, concrete, ceramic tile and much more. You can use it on walls, floors, decks, roofs, parapet walls, countertops etc..There’s no trial and error with this system. You can be sure of great results when the job is done right. Once applied and cured, you can apply tile, mastic, paint, epoxy or any decorative concrete directly onto PerfectMembrane for the finishing touch. Perfect Membrane is a great waterproofing system for do-it-yourselfers at different skill levels.